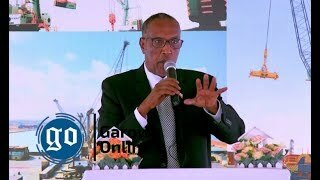 BOSSASO, Puntland - The President of Somalia's northeastern semi-autonomous region of Puntland, Abdiweli Mohamed Ali "Gaas" was reported to have postponed his trip to Kismayo city to unspecified date, Garowe Online reports. 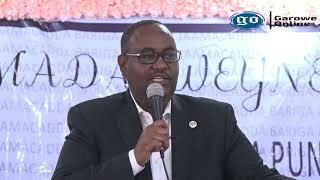 GO has learnt that President Ali put off his planned travel to Kismayo after he faced pressure from top government officials and members of Puntland state Parliament during talks held in the port city of Bossaso. The President was expected to take off to Kismayo for the meeting between the leaders of Somalia's Federal member states and Somali government who, some of them are in deadlock over Gulf diplomatic crises. Despite the mounting pressure, Ali insisted to attend Kismayo talks hosted by Jubbaland President, Ahmed Madobe. Kismayo meeting was postponed until next Sunday following a call conference between the leaders of the regional administrations who agreed to resolve Galmudug political crises before the opening of the forum. President Ali said the anticipated meeting in Kismayo that was organized by Jubbaland has nothing to do with the reported standoff between the country's regional administrations and the Somali Federal government. 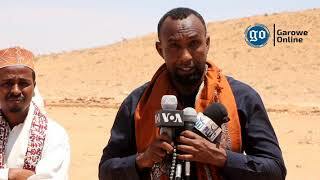 Speaking to the reporters at Garowe Airport, Vice President, Abdihakim Abdullahi Omar Amey, announced on Tuesday, October 3, that Kismayo conference will not serve the interest of Puntland government. The President has been annoyed by VP's remarks, which also became a surprising statement to the state parliamentarians who had been putting pressure on Ali not to partake Kismayo summit, sources revealed. 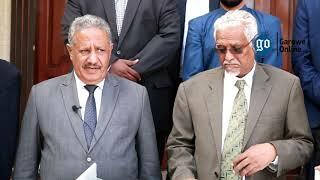 This was the first time in Puntland history that President and Vice President, the state's highest-ranking leaders make public conflicting views to the Media. It is not known Somali Federal government's role in the pressure on President Ali by some members of the Puntland parliament, however, Villa Somalia is believed to be unhappy with the upcoming Kismayo meeting. 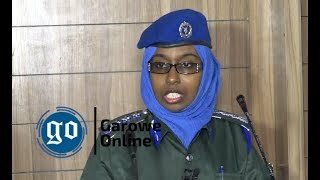 The Somali government has made vigorous efforts, with the help of several neighbouring countries to cancel the crucial forum in Kismayo which aims to seek a solution for the growing division towards the GCC crises.